In 2016, Surrey based GPR Ltd made its first strides from 3 to 5-axis machining and it was Tamworth cutting tool manufacturer Industrial Tooling Corporation (ITC) that fully supported the subcontractor in selecting the optimal tooling solution for the new machine. 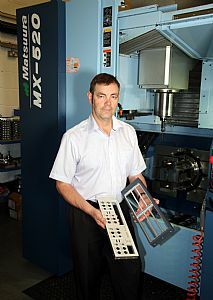 Two years after the Matsuura MX-520 was installed to complement the company’s 3 & 4-axis HAAS machining centres and ITC Technical Sales Engineer, Mr Dave Cleeve has once again stepped-in with a solution. The relationship between ITC and the Camberley subcontractor company spans almost 15 years and during that period ITC has always been on-hand with its extremely vast product range that is backed by first class technical support. 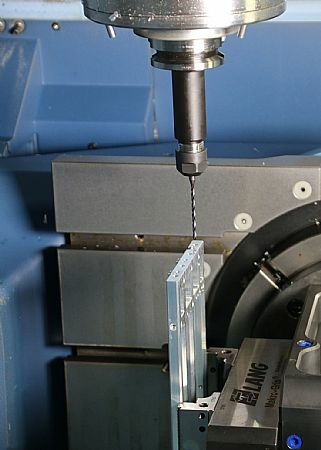 In the last five years, ITC has massively added to its product portfolio with the addition of BIG KAISER tooling and tool-holding products and the inclusion of the Widia indexable insert turning, drilling and milling lines that add to the already impressive range of UK manufactured ITC solid carbide tooling. Always endeavouring to provide a complete solution for customers, ITC has continually met the needs of GPR with its unsurpassed product lines. When GPR installed its Matsuura and received a contract for Hookes Joints used on Earthquake Simulation tables. ITC fully tooled the new machine with everything from Widia M200 indexable shell mills, BIG KAISER BBT40 tool-holders with face mill adaptors, BIG KAISER HMC milling chucks, WIDIA 5777 Series solid carbide end mills, standard and extended length WIDIA VariMill 2 end mills with the WIDIA HPV shrink fit tool-holders, 7-flute VariMill 3 Series tools, the 47N0 Series ball nose tools and much more. It is the unparalleled service levels and extensive product portfolio that now sees ITC supply more than 50% of GPR’s cutting tools. The experienced ITC engineer immediately suggested the Widia range of VDS solid carbide thru-coolant drills to eliminate tool failures and the associated time and costs involved with changeovers. Added to this, GPR wanted to improve the cycle times for drilling operations. Each of the four centre guides had an overall cycle time of 1 hour 10 minutes and the application of the Widia VDS drills immediately reduced the cycle time to 49 minutes. 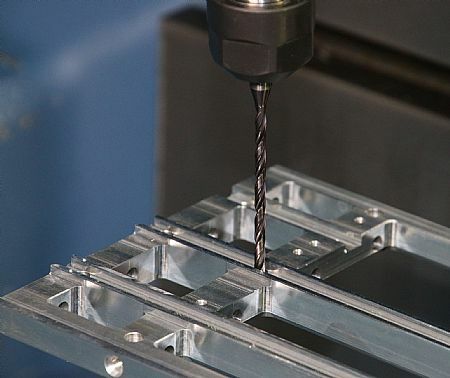 This 20 minute reduction per part is credit to a number of factors that include the elimination of tool burnout and subsequent changeovers, the ability to run the VDS drills at higher speeds and feeds and also the ability to feed the drill straight through the part with no pecking cycle. The thru-coolant feature on the VDS drills eliminated pecking cycles by flushing the swarf away from the cutting area whilst keeping the cutting edge at its optimal operating temperature. The VDS drills had an immediate payback on the aluminium components and it wasn’t long before the Surrey subcontractor enquired about drilling holes in Duplex. The inherently challenging stainless steel grade is commonplace in the oil & gas industry and when GPR won an order for drilling oil well monitoring equipment, ITC again recommended the flexible VDS drilling range. The batch of 10 Duplex bars required four 10mm deep holes per part and with a pre-drilling and drilling cycle, the complete drilling time was 4 minutes 58 seconds per part. Upon completion of the small batch run, GPR won an order for a consecutive 130 parts. Aiming to reduce this cycle time on the company’s HAAS Mini Mill, GPR approached ITC’s tooling specialist Dave Cleeve who suggested the 3XD VDS drills in 3.2mm and 4mm diameters. 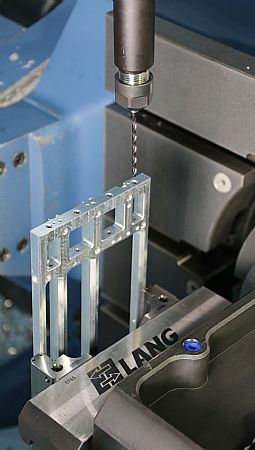 Unlike the thru-coolant solid carbide drills applied on the Matsuura, the drills used on the Mini Mill were used with flood coolant. Despite not having the thru-coolant facility, the drills reduced the cycle time from almost 5 minutes to just 44 seconds, a cycle time reduction of over 400%.